Susanne Günther is Finance Trainee at HSBC Germany and will be executive assistant to the Chief Financial Officer from January 2019 on. 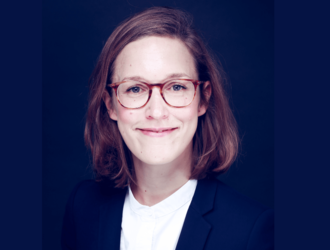 Before starting at HSBC, she worked four years as Research Assistant at the Institute for Cooperative Research Muenster after studying Economics at the University of Muenster. During this time, she finished successfully her PhD thesis which focuses on the effectiveness of recently extended disclosure requirements for cooperative retail banks. Now, she brings together her theoretical background of banking regulation with the practical work in the financial system. Market discipline or in the case of banks ‘Peer Monitoring’ is supposed to complete public supervisors in improving financial stability. This seems to be an obvious mechanism for the governance of shareholding companies. However, the question about market discipline is a special issue for cooperative banks and their governance. The objective of the submitted paper is the estimation of the existence of market forces within closed giro systems by conducting an empirical analysis of 1,034 German cooperative retail banks and especially of the functioning of their internal capital market from 1999-2013. The central research question is as follows: Does Peer Monitoring exist and is it influenced by the ownership structure of the German cooperative banking network? The analysis’ contributions are: Firstly, the provision of evidence of monitoring on the German internal capital market of cooperative banks, secondly, support for the understanding of the Net Governance and its disciplining mechanisms, and thirdly, a deep insight into the German banking system. By using dynamic panel data techniques, there are three main findings: (i) The cooperative central banks exert Peer Monitoring by the internal capital allocation, (ii) this allocation sets incentives against moral hazard behaviour and (iii) possible intra-political influence does not determine this capital allocation.